Luke J. Stedrak, Ed.D. is an Assistant Professor of Education Leadership, Management and Policy at Seton Hall University. His research focuses on school law, school finance, and virtual education. He has been published in the Journal of Education Finance, The Yearbook of Education Law, Journal of Education Policy, Planning, and Administration, Educational Considerations, Journal of Cases in Educational Leadership, and the Journal for Computing Teachers. Professor Stedrak has presented his research to the Education Law Association, American Educational Research Association, National Education Finance Academy, as well as other national organizations. 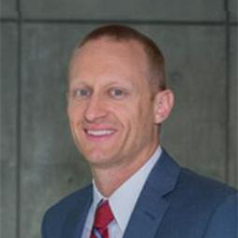 He currently serves on the editorial advisory board of the Journal of Education Finance, is a member of the Board of Advisors for the National Education Finance Academy, and his research has been referenced in several outlets including Inside Higher Ed, Education Week, and The Chronicle of Higher Education.